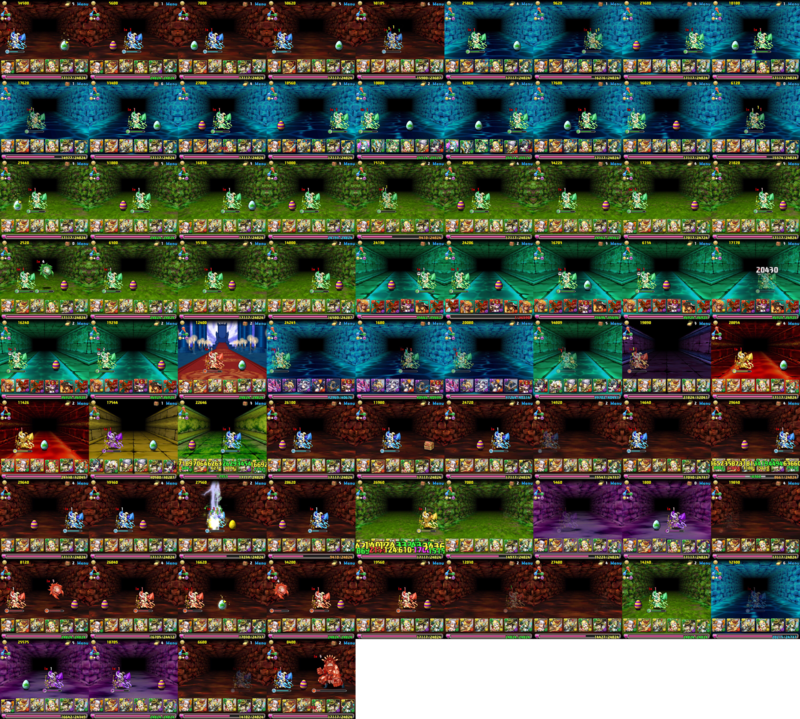 I was thinking about making a video on farming the no dupe coin dungeons — once again, out of boredom — but this happened. Unfortunately, I didn’t keep track of most of my runs. Instead of skipping this post, I’ll take this opportunity to encourage getting into the habit of doing so. I was pretty down on the alt. technicals, but it turns out this set is probably the very best for Py farming, especially if you have a full ROdin farming team. I’m keeping these numbers separate from the alt. normals for now, but at least for Py drops I’d assume that they are largely the same. I made this video in response to a comment made here. Sadly this coin rotation ends today which diminishes the relevancy, but it’s something to aim for when it comes around again. This is the team I used to farm Woodpys during the NA coin rotation #16 and is designed to clear the 7-floor alt. technical dungeons as quickly and braindead as possible. I lack four ROdins for the ultimate farming team, but this wasn’t bad. This team will only work for this particular alt. technical rotation as the other one has 300k+ HP Pengdras which this team isn’t prepared to deal with. I only used this on Alt. Shrine of Liquid Flame – Twin Jewels of Fire and Water, but I’d assume it would work for most of the other 7-floor dungeons. I’m definitely backpedaling on my negative stance towards alt. technicals. 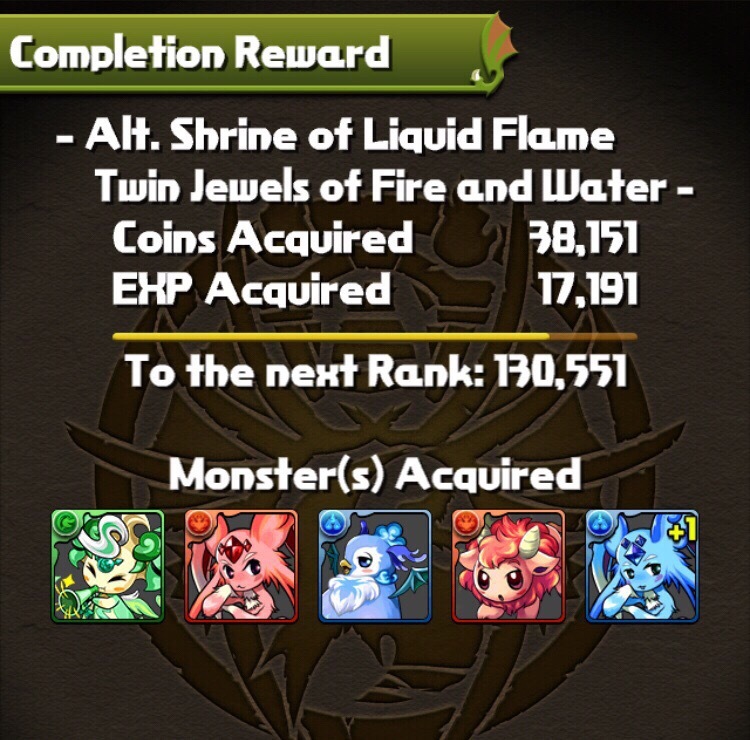 I’m getting significantly less +eggs, but that’s a small trade-off considering how easy these dungeons are to farm with a Goemon team. I can only imagine how trivial Py farming must be for those with 4 ROdins. There’s likely to be at least one Challenge Dungeon before NA gets Awoken Meimei’s 9-turn cooldown buff, likely two or more. There’s the possibility of getting some skill ups through the evolution due to a nice bug/feature in the evo system. Most directly, there’s the update that makes the jewels skill up the awoken Chinese. Antonio will surely win us some Pys! I’ll probably keep on farming anyways. I see any extra/saved Pys as a bonus as there’s likely to be more many more things to feed them to in the future. 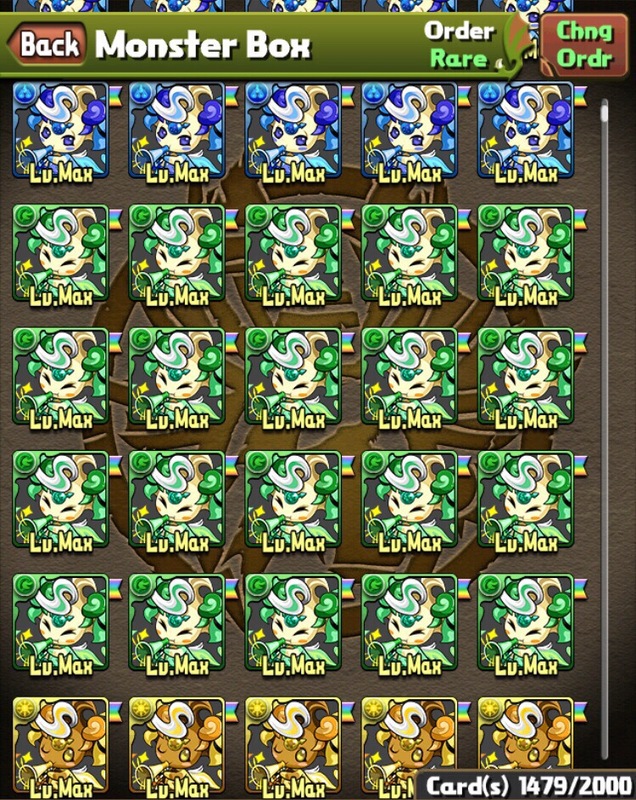 I’ve been testing out a Goemon and ROdin-based team to farm the alt. technicals. I don’t have the ROdins for a true speedfarming team, but even my crappy team clears the 7-floor dungeons pretty quick with minimal thinking. I know I’ve dissed the alt. technicals before, but there may be a good use for them yet.